The Associated Press stealth-edited a story about anti-Semitic conspiracy theories peddled by a Washington, D.C. government official Wednesday after initially omitting he was a Democrat. 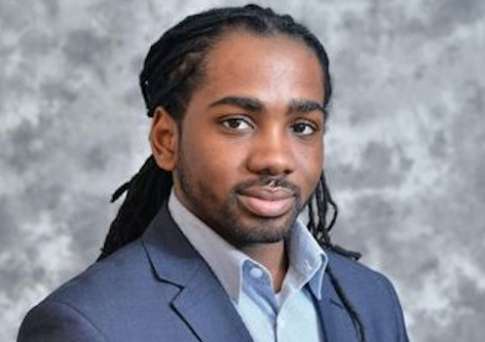 City council member Trayon White drew controversy in March for blaming a snowfall on a Jewish conspiracy, posting a Facebook video where he said the "Rothschilds controlling the climate to create natural disasters they can pay for to own the cities, man. Be careful." The Rothschilds are a European business dynasty descended from a Jewish banker, and they have often been the subject of anti-Semitic conspiracy theories. White said he was unaware at the time that he was peddling such a conspiracy theory, but his efforts to repair the damage made matters worse, culminating in him asking questions during a Holocaust Museum visit that showed a severe lack of knowledge about the genocide. In a story entitled "Anti-Semitic Conspiracy Theories Roil DC City Government," the Associated Press reporter identified the controversies, but he did not initially indicate White was a Democrat, according to the Washington Examiner. The initial report read, "White said he was unaware the Rothschild theory could be construed as anti-Semitic. The first-term African-American councilman reached out to try to mend fences, but several of the gestures seem to have made things worse." The article now reads, "White, 33, who like most city officials is a Democrat, said he was unaware the Rothschild theory could be construed as anti-Semitic. The first-term African-American council member reached out to try to mend fences, but several of the gestures seem to have made things worse." There is no note on the article about any update being made. The AP report went on to discuss White also making a reference to the Rothschilds during a February meeting of city officials, where he indicated they controlled both the World Bank and the federal government. Bowser is not identified as a Democrat. The Examiner also noted D.C. Public Housing Authority board member Josh Lopez, who organized a rally to support White, and councilmember Jack Evans, who is quoted as hoping fences can be mended in the situation, are not identified as Democrats, either. This entry was posted in Politics and tagged Anti-Semitism, Associated Press, Democratic Party, Media Bias. Bookmark the permalink.